Now that Thanksgiving is gone I am sure everyone is thinking about Christmas. Today I am going to share a few preschool sensory activities that will help your preschooler to enjoy the days leading up to Christmas. Have you ever wondered what to do with that massive bag of rice in your pantry? This is an activity that is perfect for that bag of rice. Learning 2 Walk has a Peppermint Christmas Sensory Bin that you need to try. Besides the fact that the bin smells of peppermint there are other senses being stimulated as well. Munchkins and Moms has a fun preschool sensory activity called Do You Want to Melt the Snowman. Just the name of the activity makes you want to take a peak at what this activity is about. 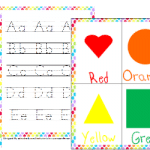 The Preschool Toolbox Blog has 2 great activities. The first is a Christmas Colored Gel Sensory Bag that can also be used for calming moments and the second is called the Five Senses of Christmas. There is an activity for the sense of touch, smell, taste, hearing and sight. 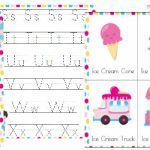 Theoretically this one post has 5 preschool sensory activities. Little Bins for Little Hands has a Peppermint Ooblek Science Experiment Sensory Play. Happily Ever Mom has her Jingle Bell Painting. This activity appeals to the ears with the bells plus it has a few other benefits as well. No Time for Flashcards has a Sticky Wall Christmas Tree Mural. It is fairly simple and quick to put together and I am pretty sure any preschooler would love their own mural. Happy Hooligans has a Christmas Play Dough Activity that oozes cuteness. Brace yourself, but Dusty from To The Moon and Back has an Egg Nog Playdough! Craftulate has a Glittery Christmas Pasta Sensory Play. If you have a light table then this Christmas activity is for you, My Mundane and Miraculous Life has a Christmas Tree Light Table Play. Lastly Little Bins for Little Hands also has a Christmas Tree Homemade Slime. 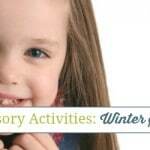 I am sure there are a lot more Christmas preschool sensory activities, but these are the ones that I have had my eye on. If you have any suggestions, let me know in the comments below. Little ones are always busy and it’s a great time to let their busyness be a fun learning time! 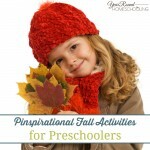 Check out our preschool Pinterest board for lots of great ideas! 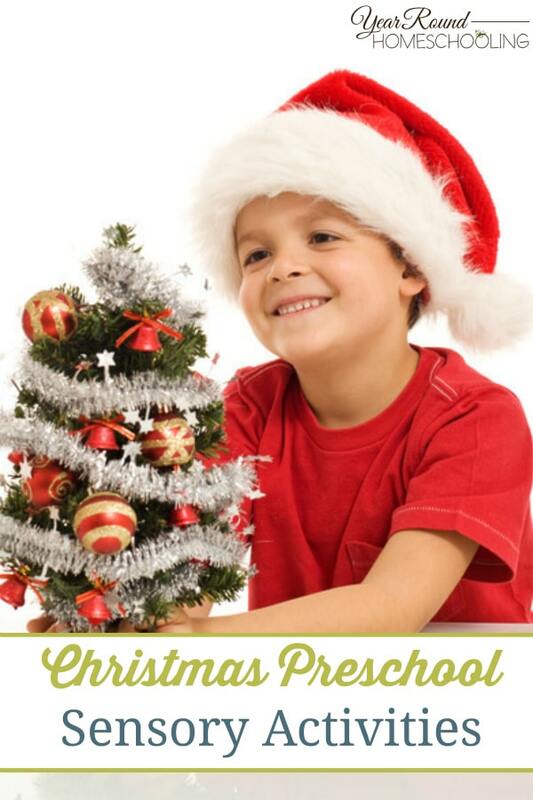 Follow Misty Leask’s board Homeschool : Preschool on Pinterest. I am a Janadian (Jamaican + Canadian) mommy of 2 and pastor's wife to my awesome best friend. I write at Learning to Walk and you can follow me on Facebook, Twitter, Pinterest, G+ and Instagram. What a great round up! Pinned! And thanks for sharing my Christmas tree light table! Some awesome ideas — I’m excited to set up the light table invitation! I have a bunch of transparent bingo chips that will make excellent ornaments!